Gratitude. It never gets old. Happy New Year to you! I hope this brings you much abundance and joy! Which leads me to why I’m posting this. This Christmas, I received a wonderful gift. It was a daily gratitude book, which I was extremely excited about. 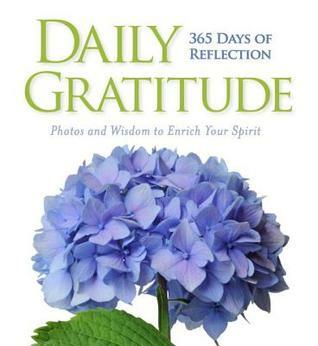 The book focuses on 365 days of reflection with quotes and pictures. It was that book that inspired me to do this challenge. This year, one of my goals is to push myself very far outside of my comfort zone and this is one way to do it. This is something I’ve been wanting to do for a long time and I feel now is the perfect time to do it. My Christmas present which inspired me to do this. Delegate a separate notebook or notepad just for this challenge. I would advise you not to do this on a laptop, tablet, cell phone, or any other electronic device. Writing something down on a piece of paper does something to the mind subconsciously and I want you to stimulate that hidden gem within you. Besides, we’re overload with screens anyway and it’s a perfect time to be away from one. The rules are quite simple. In order to complete the challenge, each of these rules must be followed. These are 3 things that are in your life currently. They don’t have to be extravagant things. Simple everyday things such as a bed, car, job, person, etc., is fine. So are extravagant things, like trips or vacations. For example, you could write, “I AM grateful for my best friend,” or “I AM grateful for the trip to Hawaii last Summer” (notice how I emphasized the I AM declaration). Try not to write future things you don’t have yet. The goal is to get you to appreciate the things you have right now. You are able to write the same thing(s) every day, however, after 1 week of writing the same thing, you must change all of them. One you start changing your gratitudes up, you’ll realize how much you have in your life. Take some time to reflect on the things you are grateful for and the feelings they give you. This is an opportunity for you to go inside and be with your feelings. To truly connect with your gratitude. If you decide to journal, it’s the same thing. Take that time to connect with the feelings of your gratitude and write about it. You may find that you want to meditate then write. You’re welcome to do that. I am very serious about the 5 minutes though. Don’t cut corners on this. Be with your gratitude. 5 minutes goes by faster than you think. Use a timer if you have to. Every cell phone comes with one these days. You are open to go beyond 5 minutes but not below. With this rule there is some flexibility. Some people express their words and feelings differently. I know I said you’ll need pen and paper but not all people are good with words. Some are visual. If you’re one of those people, you can draw, paint, design, however you want, in place of meditation or journaling. Make this challenge organic to you. If it helps inspire you to create something new or break through a block, I’m all for it. Still use 5 minutes as the minimum marker. You’ll be amazed at what you can create in that time. Once a month, you must check-in with yourself and write, meditate on, or draw, paint, design, etc, what changes you’ve noticed yourself going through during this challenge. What have you noticed about yourself since you’ve started? Have you changed as a result of this challenge? These are examples of what you can use to reflect on your experience with the challenge. No challenge would be complete without having a tribe with you. Invite 3 people however which way you want. Social media, email, text, phone call, skype, etc. Just invite them. Whether they choose to participate or not is up to them. It is not your responsibility. This only needs to be done once, however, you are allowed to invite as many people as you want. Just be sure to start with 3. Once again, 3 is the minimum. Challenges can be fun, energizing, and enlightening. With that, there are a few friendly reminders that I’d like to leave you with to help you on your journey. – This challenge is for you and no one else. This isn’t to please anyone and there’s nothing to prove, nor should this to be used as a reason to boast to anyone for whatever reason. Just an opportunity for personal expansion and growth. – Try not to compare your experience with others. Everyone’s personal journey with this is different and yours will not look like someone else’s. Some people progress faster than others but it doesn’t mean you aren’t growing. Where you are is just fine, even if you don’t feel like it. – Start with something simple. Pick easy things to be grateful for. Once you’re able to grasp a hold on the little things, it becomes easier to stretch out and look at bigger things to be grateful for. If you use this approach throughout the challenge, you’ll find there’s always something to be grateful for. – Try not to overwhelm yourself. One of the reasons I encourage you to start with something simple is because it’s easy to look at major accomplishments as things to be grateful for and not seeing the little things that make your life what it is. If you’re always looking for the big fish, you’ll never notice the thousands of little ones that swam past you. They’re all around you if you take the time to notice. I’m excited to see people take this challenge on for themselves. You are welcome to interact with me through my Facebook or through my Twitter. You can also post a YouTube or Vimeo video about your experience with the gratitude challenge. I’d love to hear about the changes you’ve experienced as a result of this and I can’t wait to hear (and see) the stories from you. Good luck and many blessings for the new year!